Window cleaning is tricky work, something that requires a broad set of skills, equipment, and training to get the job done right. If you’re on the market for window cleaning in Vaughan, be sure to contact NICK’S Window Cleaning. We work with you to make sure all of your window maintenance needs are met, and ensure that every window cleaning project is conducted professionally and in a timely manner. Window cleaning is our passion and we’re excited to share what we can do with you. Window cleaning is an important aspect of our lives, but it is also something that we don’t think about too often. Perhaps it’s the fact that window cleaning is a bit of an inconvenience, being a time-consuming job that also comes with certain safety issues. Maybe it’s because the work needs to be done fairly frequently and making time for it is difficult. Every person, every client, and every business is a little different. They all have unique needs and requirements for almost everything they do, and that includes window cleaning. If you are looking for Vaughan window cleaners, NICK’S Window Cleaning have a variety of services that can help you keep your windows looking great without having to worry about the work. Residential window cleaning services in Vaughan is one of our specialties, we clean both the interior and exterior of your windows to ensure that your property looks it’s best. When you hire NICK’S Window Cleaning you get nothing but the best, we provide our service with professionalism and skill. By choosing our services, you can have confidence that every window cleaning project will be done right the first time. After our first visit, you’ll instantly notice the difference that our team makes when it comes to Vaughan window cleaning. Commercial window cleaning in Vaughan is a service we provide to keep your business’s windows looking great. Window cleaning isn’t just time consuming, it’s also dangerous when done without the right safety precautions. NICK’S Window Cleaning takes safety very seriously, for both our clients and our staff, which means we take the time to ensure everything is done properly. Without the right professionals, your window cleaning could become a liability, or lead to injury, which is why using professionals with the right equipment and safety procedures is important. NICK’S Window Cleaning have developed a series of customizable and versatile window cleaning maintenance programs that can help you get the windows you want, at a price that you can afford. Whether it’s a residential or commercial property, you can depend the skills of our window washers to ensure that your windows look sparkling clean. With us, your window cleaning can be done at the times and with the frequency you require, which means having the right look whenever you need it. Please contact us for details regarding our cleaning maintenance programs. NICK’S Window Cleaning is the leading provider of window cleaning services within the Vaughan region. From residential to commercial window cleaning, we provide complete interior and exterior cleaning and work on properties up to a maximum height of 3 storeys. Our team of professional window cleaners are fully insured, personable, and courteous while providing exceptional results. It’s our core belief that developing strong relationship with out customers is essential and thus we deliver the finest quality services you will find amongst Vaughan window cleaning companies. Contact us today for a free, no-obligation estimate and find out why NICK’S Window Cleaning is quickly becoming the leading window cleaner in the Vaughan area. Smart homeowners know that sometimes hiring a professional to do a job, like cleaning the windows, is the best way to handle a home maintenance job. Just because you can spend hours or even days trying to clean your own windows doesn’t mean that it’s a smart thing to do. Wouldn’t you rather spend that time doing something that you enjoy? Consider the benefits of hiring a professional window cleaning team to clean your windows and then decide. One of the biggest advantages of hiring a professional window cleaner is that window cleaners are trained to notice things that you might not see. While they are cleaning your windows and making your home look great they are also checking the window and the window frame and the area around the window for damage. 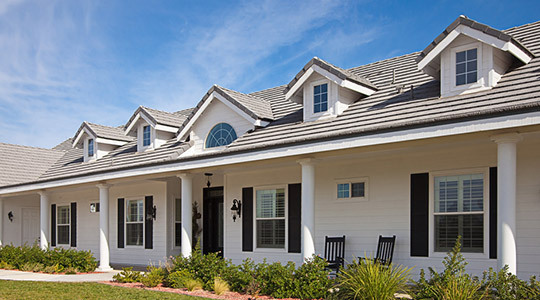 So you’re getting a comprehensive home maintenance assessment as well as clean windows. If your shutters are damaged, or if the wood around the window is rotting, or if the aluminum screens are start to chip your windows they will see it and let you know. That way you fix any problems before they become major repairs that are expensive to fix. If you want your window to look amazing it’s best to hire professionals to clean them. Window cleaning professionals know how to get the job done no matter what kind of dirt and debris is sticking to your windows. Swiping your outside windows with some glass cleaner isn’t going to get them clean. Outdoor windows take a beating from dirt, pollen, and other debris that ends up caked onto them. Window cleaners have the right tools to get your windows really clean. And they have the expertise to get them clean fast. Over time your house can start to look dingy and drab. Getting a professional window cleaning done can dramatically improve the look of your home and give it new life. If you want your home to have more curb appeal and you’re tired of your house looking dull hiring a window cleaning crew will give the appearance of your home a great boost without a huge cost.